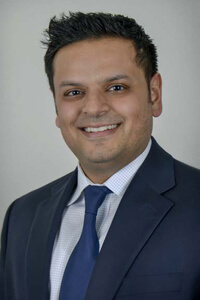 Westchester Medical Center's Dr. Himanshu Patel is one of the few radiologists in the Hudson Valley Region who performs musculoskeletal ultrasound guided joint aspirations and diagnostic and therapeutic injections. He has taken the unique training he received at the Hospital for Special Surgery and provided non-surgical therapy to many patients. Dr. Patel uses Advanced Imaging’s state-of-the-art MRI High Field 1.5T technology to visualize the smallest ligaments and tendons. Advanced Imaging’s team of highly skilled MRI technologists use dedicated extremity coils designed to improve quality and provide high-resolution images. All musculoskeletal imaging is performed with thin section PD sequences which allow optimal evaluation of joint cartilage. The new wide bore design allows ease in patient positioning and overall patient comfort. Musculoskeletal ultrasound is a highly specialized imaging modality that is only offered at a handful of institutions nationwide. Whereas most imaging is static; capturing a single moment in time, provocative maneuvers can be performed during an ultrasound examination in order to bring out pathology that might otherwise be difficult to detect. Dr. Patel uses the advanced technology of Ultrasound to accurately locate where the needle should enter the skin and avoid regional nerves and blood vessels. Ultrasound guidance provides real time confirmation that the area of interest is being aspirated or injected. Long term pain relief through a minimally invasive outpatient procedure is a tremendous service Dr. Patel provides to our patients. As Director of Musculoskeletal Imaging at Westchester Medical Center, Dr. Patel has developed a broad and highly specialized range of orthopedic imaging services. Dr. Patel performs Diagnostic and Therapeutic injections, using viscosupplements and steroids.